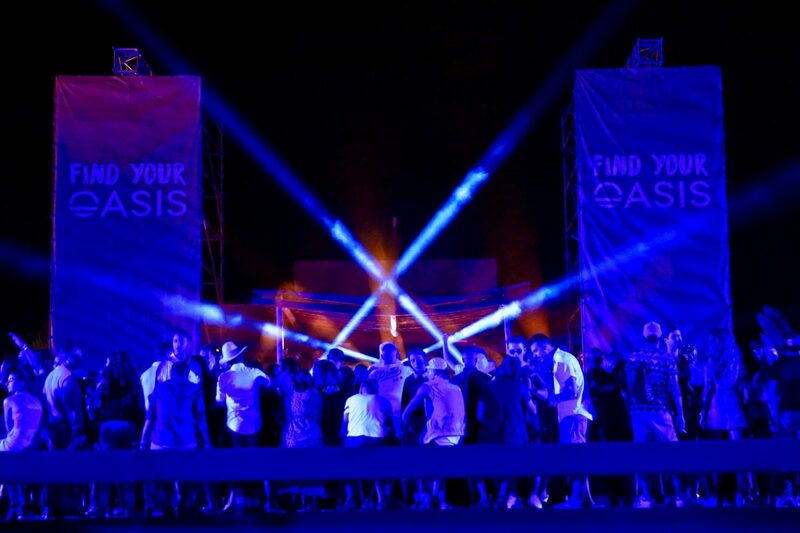 An intimate festival that takes place in the confines of The Source with an astonishing line-up, unpublished, gathering over four days fifty or so of the sharpest and most inspired international DJs: Nicolas Jaar, Solomun, Daniel Avery, Modeselektor, Agents of Time, Jackmaster, Kink, Richie Hawtin, Alex Niggemann, Amine K, to name a few, and those from the local pool, at the forefront of the new electronic scene, abundant and daring in Morocco. Nearly 15,000 festival-goers from all corners of the world follow the elite of the DJs, a solid organization and decent decorations down to the smallest details, powerful sets sublimated by an explosion of lights, and finally smiles: the smile of men and women, artists, staff, visitors; united and reunited by the pure love of music. A proximity, warmth, an exchange, an encounter… The fire is burning here again, and forever. Around the pool, from the amphitheater and through the gardens, the frenzied beats rise and make stars and jasmine dance together. A delicious relaxed and cozy atmosphere, luxurious but always relaxed, a vibrant magic hovers over The Source and sublimates the genre whose fans of festivals and electronic music will certainly remember for a long time.